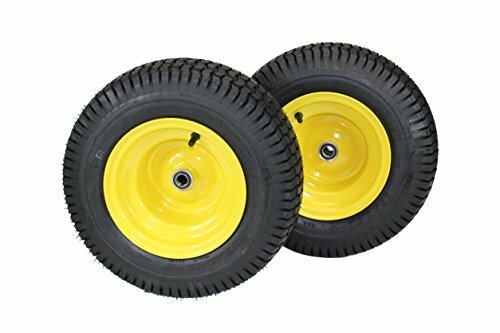 Antego (Set of 2) 16x6.50-8 Tires & Wheels 4 Ply for Lawn & Garden Mower Turf Tires .75'' Bearing by Antego at Heirloom Gardens. MPN: A85380060104166508-B2. Hurry! Limited time offer. Offer valid only while supplies last. No fuss. Just take off your old assembly and replace with this one. No need for tubes or tires shops. No messing around with mounting these yourself. Tire OD: 16.33; Tire SW: 6.57; PSI: 28; Max Load: 615 lbs. If you have any questions about this product by Antego, contact us by completing and submitting the form below. If you are looking for a specif part number, please include it with your message.